Is this what I get for rushing around all the time with my head down? 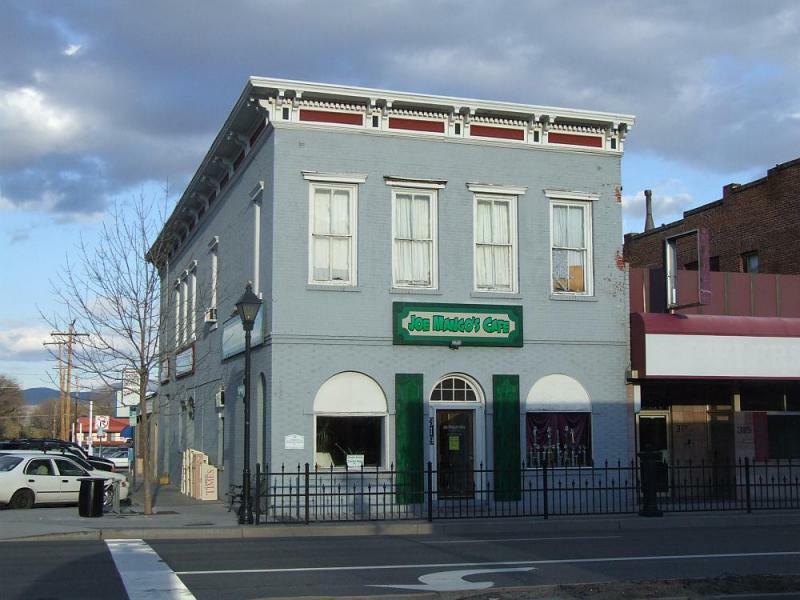 Java Joe’s, the venerable old coffee house located in the Kitzmeyer furniture building downtown, has suddenly changed its name to “Joe Mango’s Cafe”. The newspaper has a story from six weeks ago about the change. The owner of Java Joe’s, John Davis, decided to retire from the 70-hour-a-week job of running a coffee shop, and lease out the space to someone new. That’s where Jody Valente came in, switching the business to a “Hawaii thing” with a new menu and a new atmosphere. 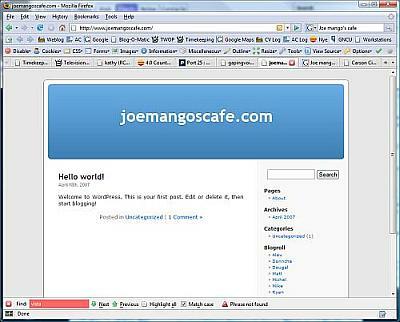 They have a website, www.joemangoscafe.com, and in a really good development it’s nothing but a blog. Unfortunately, it’s an empty blog, just a freshly-installed copy of WordPress with all the defaults still in place. So, half a point for effort? There are probably a lot of Java Joe’s regulars out there who are little cheesed off about this, especially since the new owner states that he doesn’t care much about coffee, being a Starbucks guy himself. Has anyone tried the new place? Hey Scott, thanks for the mention. Next time you’re downtown you should stop by, we’re getting great feedback from Java Joe’s regular customers. So far, nobody seems “cheesed off”, or at least if they are they’re not telling us.